Speed up your RESULTS with GROUP FITNESS CLASSES! 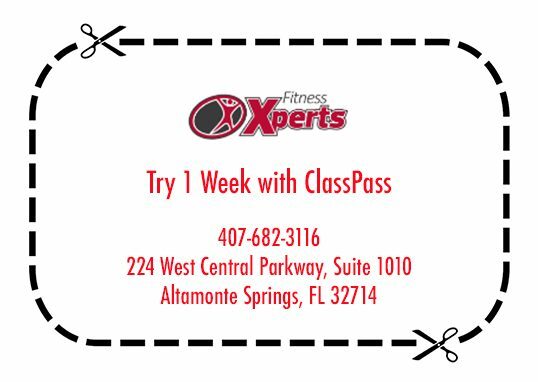 Fitness Xperts offers a range of group fitness classes in Altamonte Springs, Florida, including Zumba, Boot Camp, and Kickboxing, Stretch, Classes, Running, and more! Our Orlando group fitness classes are led by our Xpert team of Certified Personal Trainers and coaches. You don’t have to be a Fitness Xperts member to participate in classes, however, we do recommend choosing one of our Membership Packages -> enjoy all of the membership perks while saving money! Our non-member drop-in rate is $10 per class, and a few of our classes are FREE. We hope to see you and your friends or family at one of our upcoming Altamonte Springs fitness classes! Drop-in or sign-up below to reserve your spot! We update this page frequently with new group fitness class offerings so check back often! Follow us on Facebook for the latest news and updates!